Although Stars Of Carrum finished fourth in the Mornington Cup the run convinced his trainer Robbie Laing that he’s the horse to beat in the Australian Derby. Is he right? Although Stars Of Carrum finished fourth in the Mornington Cup the run convinced his trainer Robbie Laing that he’s the horse to beat in the Australian Derby (2400m) at Randwick on April 6. He also believes contesting the Mornington Cup over 2400m would prove a better lead in to the Australian Derby for last year’s Victoria Derby runner up than if he had run in the Rosehill Guineas against his own age group instead on Saturday. He also said Stars Of Carrum’s run was a superior trial for the Australian Derby than any handed in by any Rosehill Guineas contestant. “It was a good run. He’ll be back against his own age and he’ll be better suited by the big long straight at Randwick,” Laing said. Laing has booked Hugh Bowman to ride him in the Randwick feature. Laing watched the Rosehill Guineas with interest and said he wasn’t too fearful about taking on any horse from that race in the Australian Derby. Stars Of Carrum finished second to Extra Brut was a great form line. Laing believes running Stars Of Carrum in the Mornington Cup over 2400m would prove a better lead in to the Australian Derby on April 6. Stars Of Carrum finished fourth beaten a length and three-quarters behind seasoned stayers in Self Sense, Tarquin and Trap For Fools. 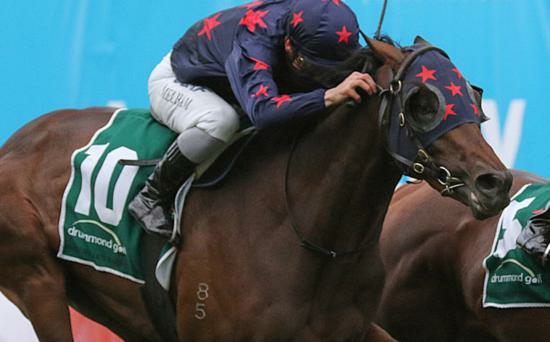 Stars Of Carrum is a $9 chance with TAB fixed odds with Chapada a $5 favourite.